Taking photographs of pets can sometimes be as difficult as shooting a starry night. At least with stars, they tend to stay put in one place for several minutes. But with a few simple tricks and camera settings to keep in mind, it’s not impossible to capture amazing, professional-looking photos of these important family members, worthy of hanging on the wall next to pics of the grandparents. To help you take great pet photos, we spoke with Josh Norem, a pet and landscape photographer based in the San Francisco Bay Area. Norem started photographing animals when he first volunteered at local animal rescue organizations, which have a need for high-quality photos but don’t have the time or resources. You can follow him on Facebook and 500px. How do you get your pet to cooperate? Josh Norem: There are many tricks of the trade, but in the end it comes down to patience and being ready for that special moment when it happens. In a perfect world you’d have a “wrangler” to direct the animal to look at you, but oftentimes the cat or dog will just look at the wrangler, so it helps if he or she can stand next to you or lead the animal’s vision to where you are located. If you don’t have an assistant, try using squeaky toy apps on your phone [to draw the animal’s attention] – I use Human-to-Cat Translator and Dog Squeaky Toy on my iPhone, which are both free. The only hard part is holding the phone and the camera at the same time. Making a strange noise will sometimes be enough to get the cat or dog to look at you for a brief second – this is where it pays to be ready. You want to have your composition set and focus locked on their eyes. At the local rescue organization where I volunteer, we usually do a play session when shooting shelter cats like Tommy (pictured above). It’s important to make them look fun and energetic, though it’s not always possible. JN: You don’t need special gear, but a speedlight or flash is a must-have if you’re indoors. Unless you have spectacular natural light, the flash will fill in the shadows and also helps freeze the subjects, which is one of the reasons a lot of my photos look tack sharp – it’s the flash, and also a steady hand and good lenses. If there’s one golden rule of flash photography, it’s that you never want to point your flash directly at the subject, at least not without some sort of diffuser. It will make the subject look horrible in most conditions, and can also cast shadows around them and it will look ugly. Point your speedlight up at the ceiling; the light goes up and comes down on the subject, looking very natural and even (this won’t work if you have tall ceilings). Avoid using the camera’s built-in flash, as it puts light right in the subject’s eyes and the result looks terrible. Speaking of lenses, there is no substitute for having a good lens, period. You will see a very noticeable difference between a DSLR kit lens and a $1,000 prime lens. A 50mm prime lens is the best value. As for specific equipment, I use a Nikon D800 with three Nikkor gold band “pro” lenses and a SB-900 flash. I shoot in aperture priority mode 99-percent of the time and use TTL metering on the flash, which is like “auto” mode in that the flash reads the scene and considers the camera’s exposure settings in order to properly set the flash power. It’s extremely accurate and very easy to use. When using flash it’s easier to get little white “catchlights” in the subject’s eyes, which helps bring out their eyes and makes the eyes – and the subject – seem more interesting. What are some rules to keep in mind? JN: There are some basic guidelines you can follow. Rule number one: Always focus on the eyes. If the eyes aren’t in focus, the shot is wasted, end of discussion. The way to do this is to make sure you know which focus point is active; don’t let your camera control it, because it will usually focus on what’s closest to the camera (the animal’s nose). You can always change focus points from “auto” to “single point.” Do this (consult your camera’s manual if you don’t know how) and have that focus point right on the animal’s eyes. You also want to pay attention to the rule of thirds, so when cropping try to get the closest eyeball in the upper or lower quadrant of the frame to give it a pleasing composition. Besides focus and composition, you need to worry about your exposure; if the exposure is too dark or too bright, adjust it using exposure compensation. The last tip is to get at or below eye-level with your subject. This will always add intimacy and a unique perspective to a shot. If you have good focus and exposure, you’re very close to the goal of getting a great image. The rest is timing, practice, and a little bit of luck. The best tip for taking great pet photos is to get eye-level with them. That usually means laying on the floor, but it adds a unique perspective and lets you see details you might not normally notice. How do you take those beautiful close-up portraits? JN: To take a close-up shot of your pet with a smooth, blurred background, set your camera to aperture priority mode and your lens to the widest aperture possible (lowest f-stop number). For a good lens that will be f/2.8, or for a really fast prime it might be as low as f/1.4; on a kit lens it will be f/3.5 usually. Next, get close to your subject, and have them be a few feet away from their background. (In general the further the subject is from the background, the blurrier it will be; the closer they are to the background, the more it’ll be in focus.) The wide aperture setting will take care of the rest. Be warned though, you could end up with eyes that are in focus and a blurry nose and head. Sometimes that looks pretty cool; it’s all up to how you want the picture to look. If you want your pet’s face to be more in focus, just close down your aperture a bit (go from f/2.8 to f/4, for example) or zoom out a bit. Extra distance between you and the subject will get more in focus. Blurry backgrounds are achieved by using a wide aperture, being close to your subject, and having them as far away from the background as possible. How do you take photos of your pet in motion? The trick to capturing pets in motion – like a dog in midair – is a fast shutter speed and a camera and lens that can hold focus on a moving subject. I put my camera into continuous focus mode instead of single-shot. This keeps the focus motor active the entire time, so I just hold down the back focus button, but you can also do it by holding down the shutter halfway. The second part of the equation is a fast shutter speed, which requires a lot of light to work properly. If you’re in midday sun you will be fine, but if it’s dark you will need to boost your ISO to compensate. As a general rule you can try switching to shutter speed priority mode and set your shutter speed to 1/500 or so as a starting point, and see how that looks. Going higher is okay as long as you have enough light. Ideally you’ll want the dog’s eyes in the shot, and it’s much easier to focus if they are going side-to-side instead of coming toward you. So get your shutter speed up, set it to continuous focus and fire away. Shooting animals in action takes patience, high shutter speeds, and lots and lots of practice. Is there a way to achieve similar results with a point-and-shoot camera? So far, the tips mentioned revolve using a DSLR, but what about you point-and-shoot camera owners? The problem with automatic point-and-shoot cameras is shutter lag, which is the time between when you press the shutter button and the picture being taken. It can be a few seconds on some cameras, which is too long in most cases unless you have a very patient animal. Most point-and-shoots will also use the onboard flash in a lot of cases, which always looks terrible. My advice: Turn off the flash and set the camera to burst mode so you can take many pictures at once. Use portrait mode if your camera offers it, and if you can control the aperture put it at its smallest number. Where once Oculus was the defacto front-runner in the virtual reality scene, today there are a number of competitors out there all producing top-tier virtual reality hardware for PC, console, and mobile. Lenovo hasn’t been in the market long, but its Mirage Solo with Daydream headset is already making waves. As stand-alone VR headsets, how does these two compare? Looking very much like an evolved version of its bigger brother, the Oculus Go is a sleek and sophisticated looking headset. It has an off-white color scheme which helps it stand out without looking garish or cheap, and its materials give it a premium feel. The headstrap is velcro-attached fabric, which makes it easy to put on and take off, though not quite as easy to adjust as headsets with the turn dial tightening system. The dial is something the Lenovo Mirage Solo does sport, which makes tweaking its headstrap length a little easier. However the headset itself is 0.4 pounds heavier than the Go and you can tell. It’s comfortable, but its tight fit does make it a rather hot and potentially sweaty experience. With no ability to remove the face padding, the best you can do is wipe it down frequently. In terms of looks and feel, the Mirage Solo has a chunkier design with a hard, white plastic shell. Its heft and weight make it much more of a stationary device than something we’d want to take out and about with us, despite its wire-free design. It doesn’t have such a quality look as the Go, but its front-facing dual cameras do make it stand out. You might feel a little silly wearing it, but there isn’t a VR headset available right now that doesn’t have that as part and parcel of the experience. Both headsets offer 3.5mm connections for headphones or earbuds, but the Go also has speakers built into the headstrap should you want a better ear for the environment around you while exploring virtual worlds. Both the Mirage Solo and Go are very much mid-tier virtual reality headsets and don’t exhibit the kinds of features or specifications we’ve come to expect from high-end headsets like the Vive Pro. That doesn’t mean they have weak hardware though. 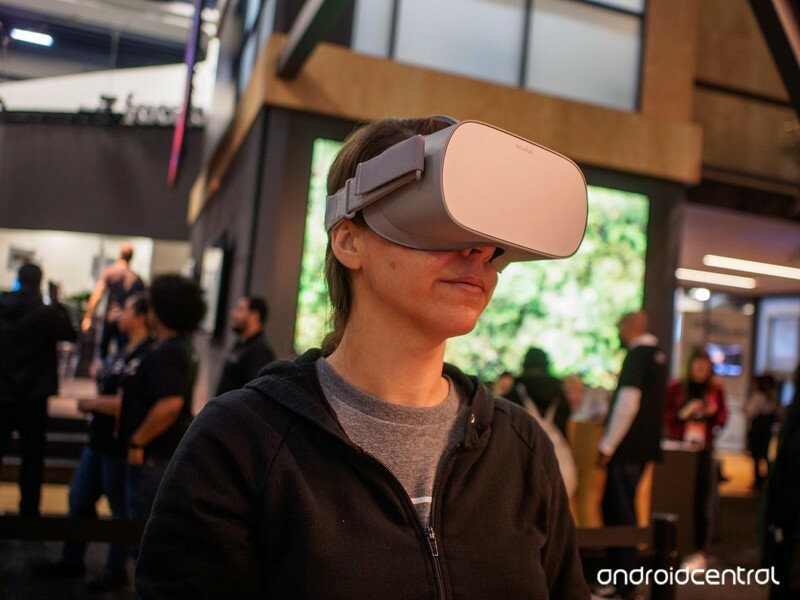 The Oculus Go features a 5.5-inch LCD screen with a resolution of 2,560 x 1,440 and a standard refresh rate of 60Hz, though some apps can force it to run at 72Hz instead by sacrificing battery life. In comparison, the Mirage Solo has an LCD display with the same resolution, though its default refresh rate is 75Hz. While the displays are comparably decent, the field of view of the Mirage is a little wider at 110 degrees — the same as the Oculus Rift and HTC Vive — while the Oculus Go is more comparable to the Samsung Gear VR at 101 degrees. Both headsets are stand-alone, meaning they don’t require a phone or PC connection to run. All the hardware is internal. With the Oculus Go, you have a Qualcomm Snapdragon 821 processor and 32GB of storage. The Mirage Solo’s hardware is newer and heftier, with a Snapdragon 835 processor and 64GB of storage space. That makes the Lenovo headset much more powerful and could be why it has the same 2.5-hour rated battery life as the Go, despite featuring a 4,000 mAh battery, compared to the Go’s 2,600 mAh. It’s also a major factor in the Oculus Go being around half the price of the Mirage Solo. The former will set you back just $200, while you’ll find the Lenovo headset more commonly sold at $400. Both headsets are stand-alone and require no external trackers, but they do have different systems for mapping where you are in the digital space. Where the Oculus Go offers three degrees of movement using its onboard accelerator, gyroscope, and magnetometer, the Lenovo Daydream headset combines that with dual inside-out tracking cameras to provide positional tracking too. That gives wearers six degrees of freedom, letting them move forward, backwards, upwards and down, as well as tilting and turning. That makes for much more immersive and interactive experiences in your favorite virtual reality apps. Neither headset’s controllers offer such freedom. Though they can track tilts and orientation, you can’t reach out and grab things in their iterations of virtual reality. Their remotes are comparable in most other ways too, with various button inputs offering basic in-app interaction. The Lenovo Mirage Solo with Daydream offers a decent spread of applications for new buyers, with around 250 in total. We particularly enjoyed its suite of educational experiences and video content. The 40-odd WorldSense-supporting applications that take full advantage of its six degrees of movement are the most immersive you’re likely to get in a standalone VR headset. The Oculus Go however, enjoys a much larger library of content. While none will let you walk around in the real world to navigate them, with more than 1,000 to choose from, the content library for the Go is much broader, even if it’s not as deep. 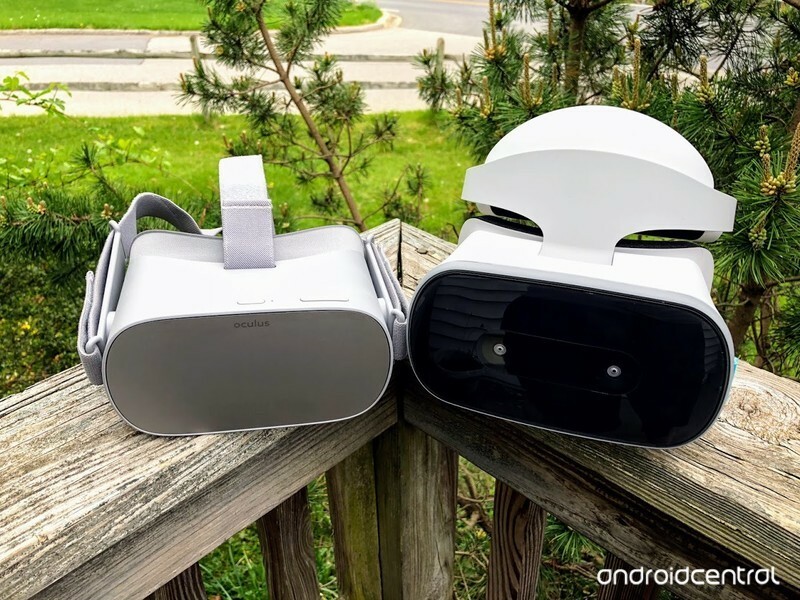 The comparison of the Oculus Go and Lenovo Mirage Solo with Daydream is a little like the original launch of the Rift and Vive. Where both offer decent virtual reality experiences, the cheaper Oculus hardware doesn’t quite measure up to the more complete virtual reality experience offered by its counterpart. Between the Lenovo Mirage Solo and the Oculus Go, Lenovo’s is the higher-quality experience. If you want more from your VR than a standing or seated experience and don’t mind forking out $400 for it, the Lenovo Mirage Solo headset offers a more interactive, better-looking VR space to explore. That said, we have to give the slight recommendation to the Oculus Go. It’s a nicer fit, its aesthetics are more pleasing, and — most importantly — it has a much more expansive library of content to explore. At just $200, it’s the better choice for those who are exploring virtual reality for the first time. Actually, they’re giving away a hundred cord-cutting bundles! July 7 is National Cut the Cord Day. And if you’re reading this, one of two things has happened: Either you’ve already cut the cord, which is awesome, or you’re thinking about cutting the cord, which is even more awesome. As always, though, the question remains where to start. First, you need a good TV. And second, you need a good over-the-air antenna. Enter to win a Series 4 TCL Roku TV and Mohu Blade antenna! CORONA, CA, July 2, 2018 – TCL®, one of the world’s largest and America’s fastest-growing television brand, and Mohu, The Cord Cutting Company, today announced that they are working together in honor of National Cut the Cord Day (July 7) with a unique promotion during Independence Week. Since on average Americans spend an estimated $103 on cable every month, TCL is giving away 103 cord cutting bundles – including a 55″ 4K TCL Roku TV™ and the new Blade HDTV antenna from Mohu – for those looking to break free from traditional pay TV. Offering a high-quality cord cutting solution, TCL and Mohu are revolutionizing the way consumers are using Smart TVs. Starting today, consumers who visit https://www.tclusa.com/cut-the-cord-giveaway can enter the massive giveaway. Winners of TCL’s National Cut the Cord Day giveaway will be announced on Monday, July 9 and they will receive a 55″ 4-Series TCL Roku TV, in addition to Mohu’s new Blade antenna, an indoor / outdoor antenna that combines a modern clean design with engineering innovation. For additional product information please visit http://www.tclusa.com. Mohu, The Cord Cutting Company, is a consumer electronics manufacturer dedicated to leading the TV cord cutting revolution, bridging OTA and OTT devices and content to give consumers access to the TV they want at a cost they can control. To help consumers identify which cord cutting options are best for them, Mohu created Untangle.TV, the first cord cutting recommendation tool that shows users what they need to cut the cord. The company’s approach to TV is founded on the motto “Be Set Free,” making its products simple to use, and enabling consumers to have an exceptional experience without burdensome costs or constraints. Since introducing the world’s first paper-thin Leaf HDTV Indoor Antenna in 2011, Mohu has helped its customers save more than $300 million by reducing or eliminating costly monthly cable and satellite bills. Mohu offers a full line of high-quality, easy-to-install and cost-effective HDTV antenna and cord cutting products. For more information, visit http://www.gomohu.com. The first VR headset everyone can, and will, enjoy. 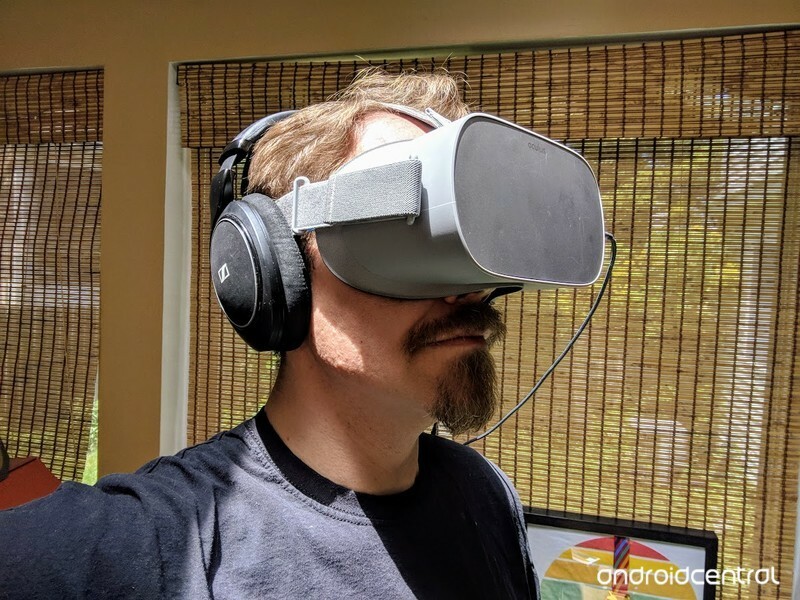 Where most other VR headsets feel like experiments pushed into the world for users and developers to figure out what is cool and fun, Oculus Go is different. This headset has been built to offer a polished experience from the moment you open the box to the moment you excitedly hand the headset to someone else to share what you saw. It’s the evolution of the Samsung Gear VR headset, replacing the need to insert a phone into the front slot with its own standalone processor and display. It’s portable, capable, and by far the easiest to use VR system released to date. Best of all? It’s yours for $200. No external hardware required, and no cable hanging off the back of your head. This is the VR headset you take with you on an airplane, or for your kids to enjoy with your supervision. It’s a full entertainment system, from game console with hundreds of titles to immersive high definition television, you can bring with you anywhere. Got questions? We’ve answered them all right here. Put simply, it’s a virtual reality headset designed for everyone. 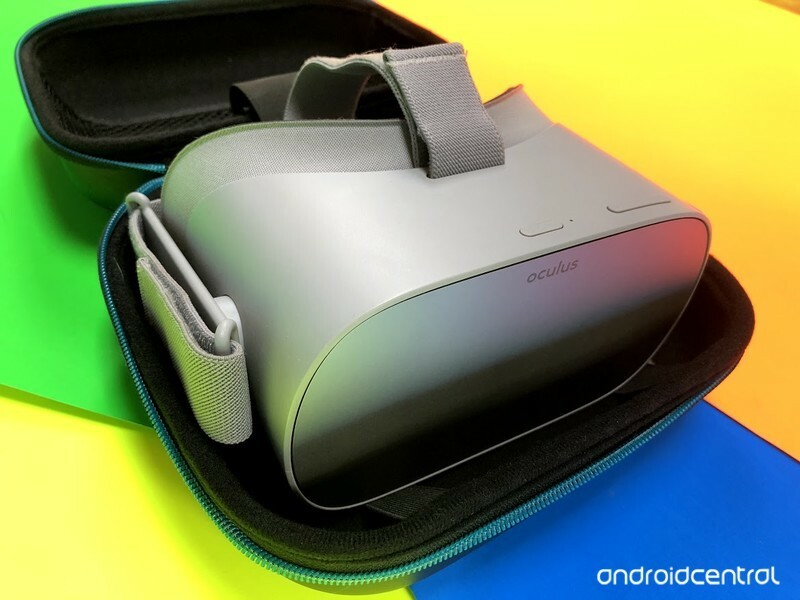 Oculus Go is the third headset from Oculus, and it’s meant to exist between the phone-powered Samsung Gear VR and PC-powered Oculus Rift. It’s a little more capable than the phone-powered headset, but not quite as capable as the PC-powered experience. But as a standalone system, meaning it doesn’t need to connect to anything, Oculus Go offers something unique. The headset itself is plastic around the outside, with an easy to remove foam pad around the eye sockets to make cleaning and sizing easier. Most prescription glasses fit in the headset just fine, but Oculus has included guides in the box to replace the padding if your lenses don’t fit right away. If you’re not sure which configuration you prefer, swapping back and forth is fairly easy. On the front panel you’ll see Oculus Go has been designed to reduce heat in such a way that overheating shouldn’t ever be a problem while wearing the headset. The metallic front panel conducts heat well, and a gap around the entire front rim helps with air flow where it is most needed. In all of our testing, the headset has yet to offer up a temperature warning. Oculus Go comes in two models, available for those who would prefer more or less storage in the headset. These headsets are visually identical, but one has a total capacity of 32GB while the other supports 64GB. Not sure which storage size is best for you? Here’s how you choose the right Oculus Go for you! Already know which one you want? Here’s all your puchasing options! Whats the difference between Oculus Go, Samsung Gear VR and Daydream Standalone? Oculus Go is not the only VR headset to come out this year with its own computer baked in and no messy cables. Google’s Daydream Standalone project exists to take the phone-based VR experience it calls Daydream and extend it into its own headset system. Then we have the Samsung Gear VR, a headset that requires your phone to us. Like Oculus Go, no phone is required for the Daydream Standalone. Unlike Oculus Go, it’s $400. 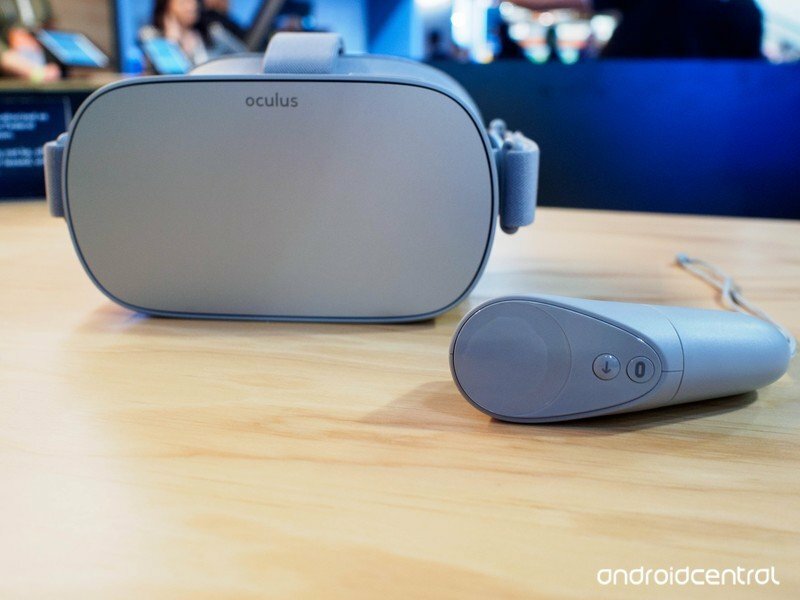 The reason for this increase in price is the availability of features you won’t find on Oculus Go, like a more advanced head tracking system and a rigid plastic design that can take a couple of bumps. Choosing between these three headsets has more to do with the ecosystem you want to live in, whether you’d rather have Facebook and Oculus controlling the store selling you apps, or Google. What can I do in Oculus Go? All of the apps and games you install on the Oculus Go come from the Oculus Store, a separate store managed by Oculus. It has its own payment system and its own update system, which you manage through the Oculus app on your phone. 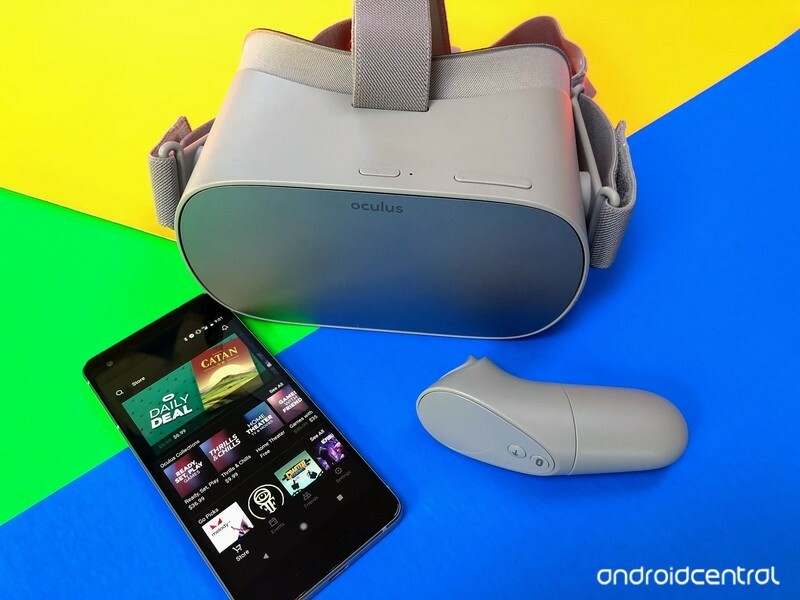 While the Oculus Go headset does in fact run Android underneath, the Oculus App is available for Android and iOS users alike. Thee Oculus Store gives you access to over 1,000 VR experiences, ranging from action games to emotional stories and so many puzzles for you to explore. You will also find a healthy Educational section in the store alongside a huge selection of movies you can purchase directly from Oculus and enjoy in your very own virtual theater. How is the battery life in Oculus Go? According to Oculus, the Go headset is capable of 2.5 hours of constant gameplay. In our testing of the headset, we found that number to depend heavily on the kind of gaming you were doing and what the brightness level of the display inside the headset was set to. If you find yourself browsing the web and watching YouTube 360 videos with the brightness a little lower than average, our tests found the headset battery will last closer to 4.5 hours. If you’re playing a visually intense game like Anshar Online with friends, the 2.5 hour claim from Oculus is just about right. You can drain the battery in under three hours if you try. This doesn’t include standby time, which is quite a bit longer. If you unplug the headset for travel, expect the battery to last several days between uses. Even of you use the headset for 20-30 minutes and set it aside, the battery will keep for quite a while. The same goes for watching movies in the headset, if you take a break in between viewings you’ll find you can just about watch two whole movies with the brightness down a little. But in a single use, you can drain the battery in under three hours if you try. But the real secret to getting the Oculus Go to last for more than 2-3 hours is to have a backup battery nearby you can use while you are inside the headset. Depending on the capacity battery you choose, these backups can recharge the headset multiple times before it needs to be charged, and can deliver enough power to charge the headset even while you are playing the more visually intense games. Take a look at the best Battery Backups for Oculus Go! I just got my headset. Now what? Before you go tearing open the box, there are a few things about setting this headset up you should know. This VR headset is a little different from the others, and while it doesn’t need a phone to power the inside there’s an app for Android an iPhone owners alike to make the experience a lot easier to manage. After the initial set up with your Oculus Go headset, you may want to take a look through the privacy settings and make sure they are set the way you want. 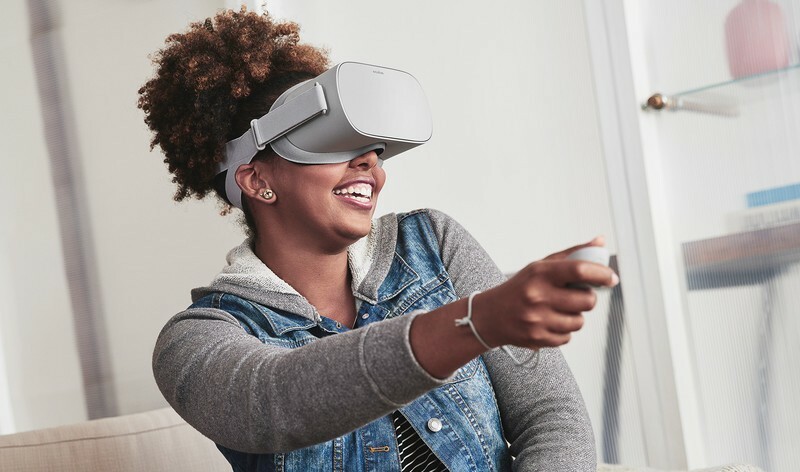 Oculus Go includes an online gaming component, which includes sharing information about your activities with other people in their headsets. If you want to avoid sharing that information publicly, you need to keep an eye on your privacy settings. Once you get all set up and you’re happy with the experience, you might want to add a gamepad to play all of the latest games available in the headset. Check out our tested batch of the best gamepads for Oculus Go to complete the experience! If you’d rather just use the included controller, that’s cool too! There are a ton of great things you can do with your Oculus Go remote, and all you need to power it is a single AA battery. Since the battery doesn’t recharge likeyou might expect from using other controllers, it’s important to know how to check on the battery capacity from inside the headset and how to swap the battery out when it’s time for a fresh cell. The first thing we’re going to show you here are a few helpful tips to get your started with your Oculus Go headset. From how to get the right fit, to how to play Steam VR games, we’ve got your back. Here are answers to some of the most frequently asked questions of Oculus Go owners. Now let get to the tricky side of things. Whenever a new device comes out we always want to find all the cool ways we can crack the device to make it do even cooler things. One of those awesome things that you have the power to do is sideload apps that normally aren’t available on your device, and here’s how! Maybe there’s an app in the store you already have that you want to unlock the full potential of. Here we’ll show you how to do all the cool things from getting YouTube VR videos working to seeing which games currently aren’t working on the Oculus Go. Have you experienced critical errors when trying to use your Oculus Go? Sometimes when all else fails the last resort option is to do a full factory reset on the device. Thankfully Oculus has made this pretty easy as you can do it from the headset or the Oculus app on your phone. While most Oculus Go experiences are solo for now, there are some amazing multiplayer experiences in the Oculus Store. To fully take advantage of these experiences, you need to add a few friends to your list. This will make it easy for you to quickly jump into a game together, whether that game is something stationary like Catan VR or full of excitement like Anshar Online. Oculus did an incredible job including amazing speakers in the straps of the headset, but sometimes you need a little privacy. The 3.5mm headphone jack on the side of the Oculus Go makes it perfect for just about any set of headphones, which is great. You absolutely want to use wired headphones instead of wireless headphones though. Bluetooth headphones, even really good ones, introduce latency in a VR headset. You’ll hear everything, but there will be a slight delay and that isn’t fun at all! It’s not always easy to hand your headset over to someone else to share an experience in VR. Oculus Go offers a couple of options for sharing what you’ve seen. You can either take a screenshot, record a gameplay video, or live stream your game right to Facebook for everyone to watch. Once you have taken a screenshot, you can either post it to Facebook or connect your headset to your computer and extract the files yourself. If you want to share to anything other than Facebook, it’s going to take a little bit of work. Oculus is planning on adding a local sharing feature soon, similar to the set up found on the Samsung Gear VR. 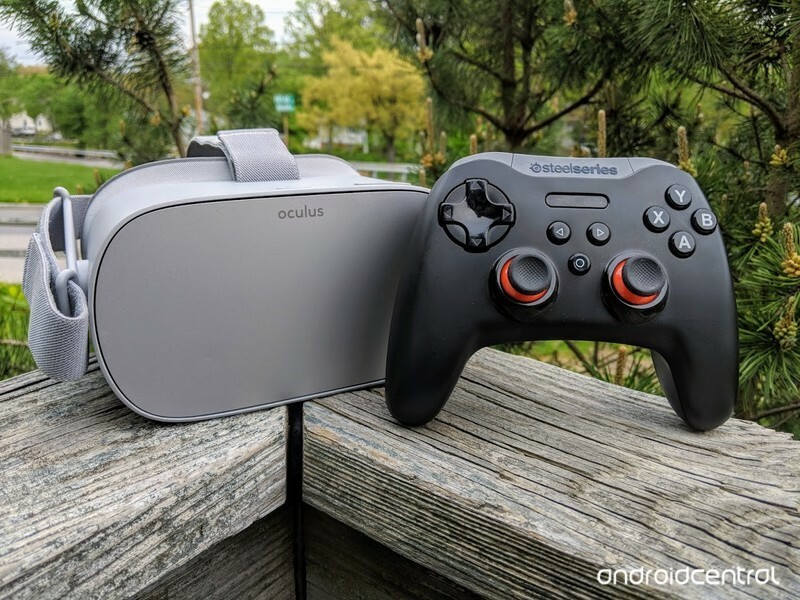 This would allow you to stream what you see in Oculus Go to a Chromecast, which is a lot of fun. It may be a little while before this feature is rolled out to everyone, but when it happens your friends will be able to see what you see right on the TV in front of you. I love using my headset on an airplane, and I’ve seen others enjoy it in a car on a long trip. The coolest thing about Oculus Go is how portable it is, but there are a few things you can do to ensure you are prepared for your headset taking a long trip with you. For example, you can load movies on Oculus Go to watch while you travel instead of buying straight from Oculus. Since you will be travelling with the headset, you also want to make sure you have it in a protective case and you are able to keep in clean for when you inevitably share the headset with someone else. No matter how you look at it, taking your Oculus Go with you as you travel is going to be a great experience. Even if all you do with it is kill some time in your hotel room because the TV doesn’t have much on it. Updated July 4, 2018: Our epic user manual for Oculus Go now includes even more information to keep you in the headset longer! A good way to do that is to read a book, listen to some music or watch a movie or show. See what’s caught our attention for the week of July 7th. 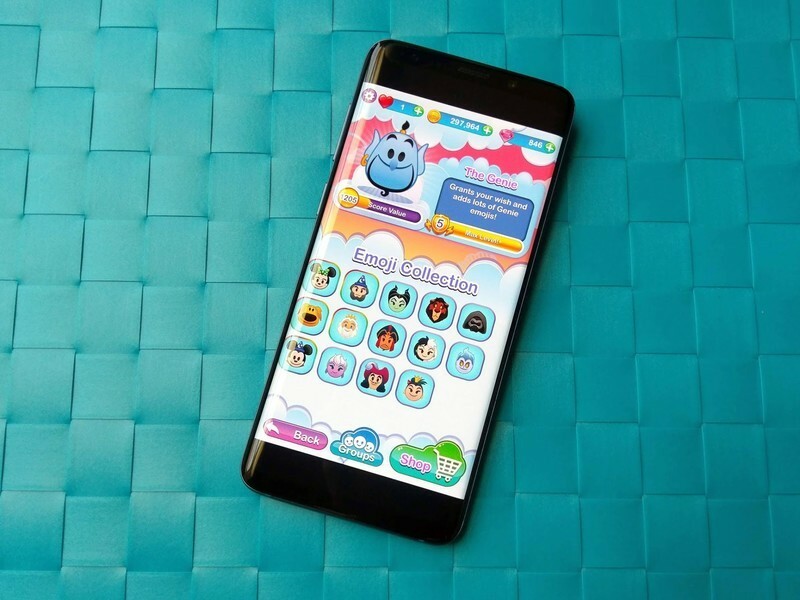 June was a very busy month for the only mobile game I play religiously, Disney Emoji Blitz, a match-3 game that unlocks emoji in an Android keyboard as you unlock characters and items in the game. Most months, Blitz only has 2-4 events, and June had 5 events, and Blitz is going to have 7 events in July, and they’re all winners. We’re currently in the middle of the Snow White Villain Event, but next week we’re having a two-day event that combines my favorite event type and my favorite Disney movie. Food fights are quick player-vs-player events that let me see how other Blitzers handle playing emoji they might not normally use. Adding to my delight, the prize for this event is King Triton, a powerful emoji that has only been available twice before — and only via expensive Diamond Boxes. The Food Fight is going to give this previously-exclusive character to scores of newer users that weren’t able to buy him in past events, which is awesome. There’s nothing like bingeing on a great TV show, and Unsolved: The Murders of Tupac and the Notorious B.I.G… was not one of them. The 10-part fictionalized USA series, which aired earlier this year, follows the detectives behind the eponymous murders of two of rap’s best MCs, and makes a slightly less convoluted narrative of the real tale behind the 1996/1997 crimes. Starring Josh Duhamel (who’s not great), Bokeem Wood (who’s better, but still not great), and Jimmi Simpson (who is terrible) as the cops and Wavyy Jonez and Marcc Rose as Biggy and Tupac, respectively (both of whom are excellent), the show uses the unsolved murders as a way to convey the dysfunctional and often-corrupt relationship between the LAPD and organized crime in the late 90s. Given that the title gives away the ending — both murders are still unsolved today and no one has been charged in connection with either case — it’s a little anticlimactic, but as poorly acted and ham-fisted much of the story is (and let’s be clear, much of it is a story), the show is eminently watchable if only for the fraught relationship between Biggie and Tupac themselves. The episodes that focus on their short-lived friendship and longer-lived eastcoast-westcoast feud are magnetic, especially when “villain” Suge Knight gets involved. As the story jumps between the mid 90s and late 2000s, spanning two separate investigations (one right after the murders, one nine years later), we follow the cops chasing conspiracy after conspiracy, and while the ending satisfies from a narrative perspective, I found it hard to shake the feeling that if the series was half as long, it would have been twice as effective. Unsolved: The Murders of Tupac and the Notorious B.I.G is streaming now on Netflix. Panic! At The Disco’s new album, Pray For The Wicked, has been on repeat pretty much nonstop since it came out late last month. I’m still not entirely sure if I like it more than Death Of A Bachelor, but there are a lot of great songs on here — some of my favorites being Hey Look Ma, I Made It, High Hopes, Dancing’s Not A Crime, and Old Fashioned. I’ve got tickets to my boy Brandon in January and I cannot wait to hear this album in person. On the watching side of things, I recently got around to seeing Dirty Dancing for the first time. I wouldn’t say it’s one of my favorite movies, but even just for its soundtrack, it was a fun way to kill a couple hours. There’s no shortage of British crime dramas, and Line of Duty may just be one of the best ever made. The series follows AC-12, an anti-corruption unit that investigates potential violations within the force, and each season focuses on one central character. What makes the show great is that there’s an overarching theme that connects seemingly unrelated incidents, and without giving a lot away, it’s safe to say that the storyline will hook you in after a few episodes. There are currently four seasons of the show, with six episodes each season. The fifth season is set to debut sometime next year, followed by a final sixth season. Netflix is handling distribution outside the UK, so you can stream the show from right here. Luke Cage is back! Well, I can’t say I’m actually watching it anymore. More like watched. I binged the hell out of that show from start to finish the day it dropped on Netflix. No spoilers, of course, but this season completely trounced the first, and I thought the first was great. 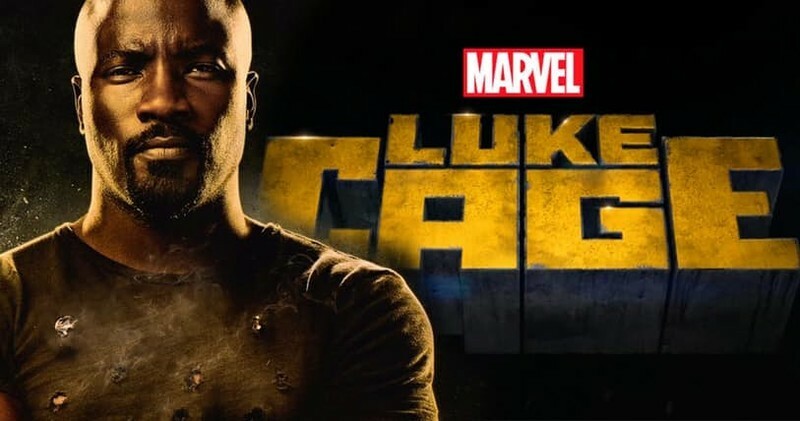 My next task is to burn through The Defenders, because there were a lot of moments in the second season of Luke Cage that I didn’t understand due to the connectedness of the two shows. Between all that, I’ll be continuing my grind on the 14th season of Diablo 3. I made a monk for the first time, and while it was a rough start that had me wanting to switch characters mid-way, I’ve finally gotten to a point where I feel untouchable. Now, it’s all about farming bounties and rifts to optimize my gear and clear the highest Greater Rift level I can. A little bit of For Honor is reserved for when I’m thirsting for head-to-head combat. Update, July 7th, 2018: This is a bi-weekly series where we tell you what we’re into, so check back every other weekend! Is a superhero enough to save a troubled case? OtterBox’s case offering is more diverse than ever, and we’re taking a look at one of the more peculiar options for the company. 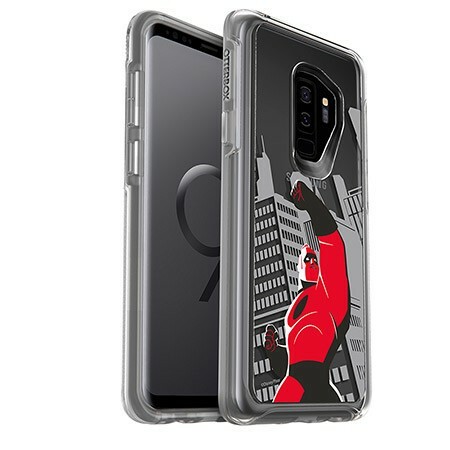 It’s the Symmetry Series Clear case for the Samsung Galaxy S9 and Galaxy S9+, and this variant features a pretty special guest. 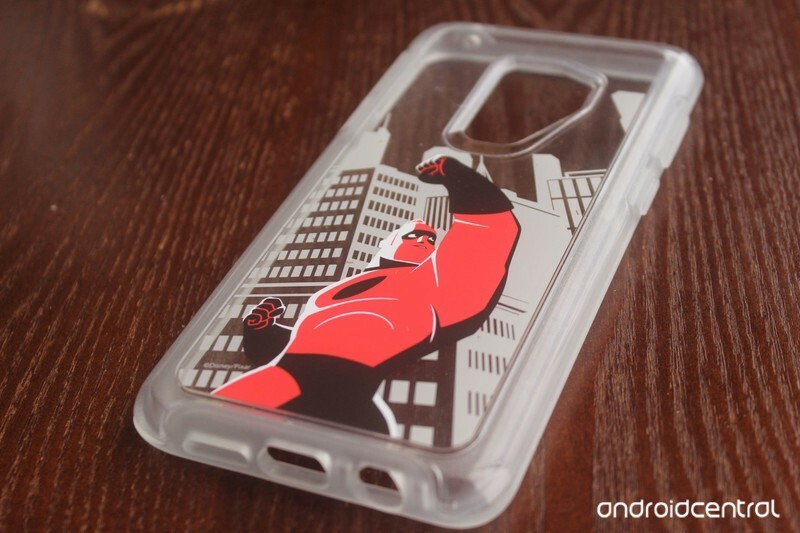 Bottom line: This case is great for collectors who happen to be fans of The Incredibles, but if you’re in need of solid protection with no annoying quirks, we’d advise looking elsewhere. Here’s something a bit more playful than I’m used to from OtterBox. 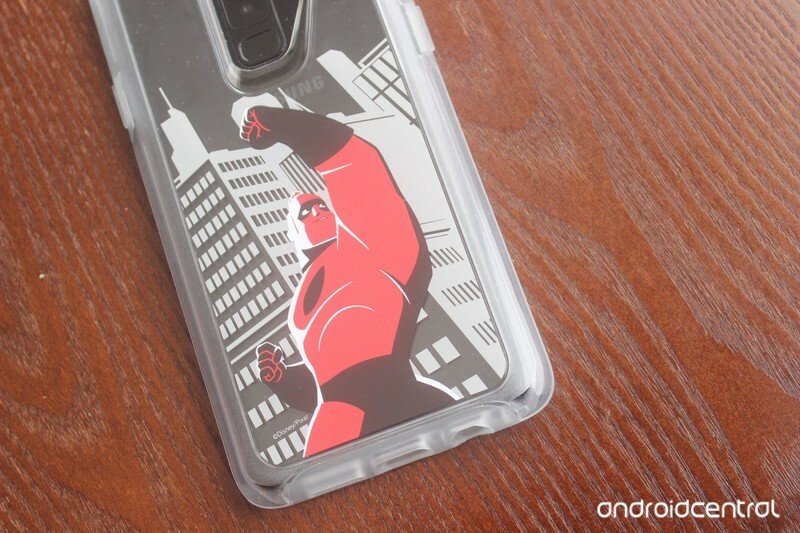 The company partnered with Disney to make promotional versions of the Symmetry Series Clear cases for The Incredibles 2, and the artwork is awesome. The case I received featured Mr. Incredible, but there’s also one with Elastigirl. Installing the case was a simple task: just put one corner of the phone into the case and gently push the phone into the others at its edges. You’ll have to use an amount of pressure that teeters the line of uncomfortable, but the Galaxy S9+ is built well enough to withstand that. Once I got it on, I immediately flipped the phone around to check out the main attraction. The print of Mr. Incredible against a city line backdrop is quite nice. 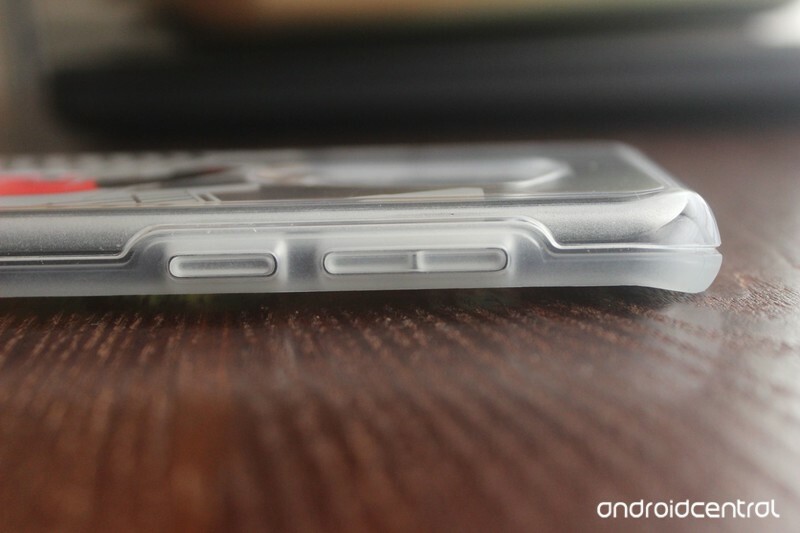 The boldness of it all will immediately draw eyes to your phone when its backside is visible. And with this being a clear case, the rest of the scene is filled in with the natural color of your Samsung Galaxy S9 or Galaxy S9+. It looks great on the back of my black Galaxy S9+, but more exotic finishes may clash a bit with the strong shade of red featured on Mr. Incredible. When it comes to executing its primary function — that is, protecting your phone — it performs excellently. The fact that it has raised edges means your display’s most vulnerable shatter points will never suffer a direct impact, which should minimize your risk in most scenarios. Those bumper portions are a bit thick to help with that goal, but the rest of the case remains thin enough to keep it pocket-friendly. The Symmetry case has all the cutouts you’d expect. The holes around the USB-C and 3.5mm headphone ports offer enough room for most of your auxiliary gadgets and cables to have a comfortable fit. One of the most important factors of a quality case is button feel, and this is one area I feel the Symmetry Clear came up short. The buttons on my particular unit feel a bit too stiff for my liking. It requires me to use an amount of force that just barely crosses the threshold of annoying, and since I use a lot of gestures with the Power and Bixby buttons it hurts the overall experience. I also feel the need to point out just how unattractive the case’s edges are. This isn’t at all a knock on OtterBox, but an unfortunate byproduct of the material being used. Clear plastic and silicone just don’t look good when the material has to be this thick, and it makes the Galaxy S9+ an eyesore when viewing it from the front. 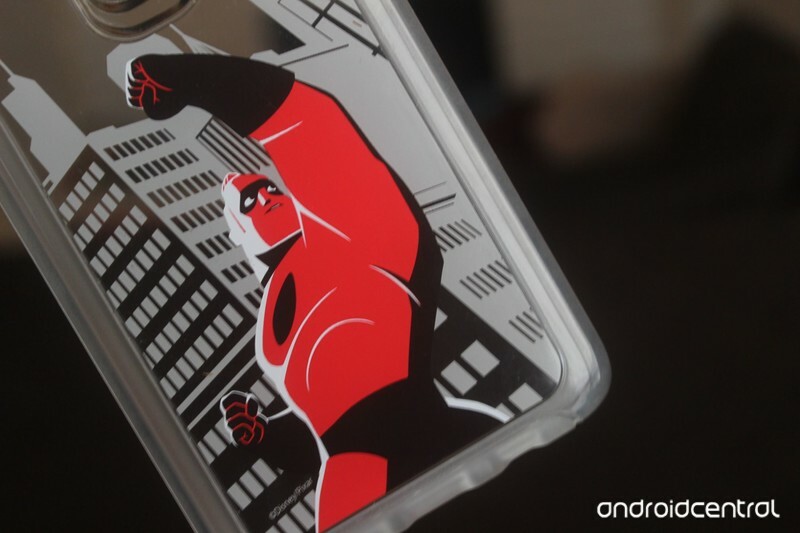 Fans of The Incredibles will certainly want to consider this case to feed their lust for the series, but I don’t know if even Mr. Incredible’s presence is enough to fight the crimes on display here. It’ll protect your phone just fine, but it does so at the expense of attractive aesthetics. Factor in the button issues and it’s hard to recommend the Symmetry Clear series. I’m not totally in love with the Symmetry Series Clear, but you could do a lot worse. And diehard Incredibles fans are still going to pick this particular model up, right? Right. A major #CutTheCordDay contest, and we’ve been putting the Amazon Fire TV Cube up against everything we can. It’s been FIGHT WEEK™️ over at CordCutters.com, with the new Amazon Fire TV going head to head against the best streaming boxes you can buy, on all the major platforms. But the first question we asked? Should you upgrade to an Amazon Fire TV Cube from one of the other Fire TV options. That’s a good question, and one without a clear-cut answer. It’s very much going to depend on what you’re currently using. The basics, in case you missed it: Amazon Fire TV Cube is a mash-up of an Amazon Fire TV 4K and an Amazon Echo Dot. So it’s an custom Android-based entertainment system with full access to everything Amazon has to offer on the big screen, including movies and music and shows and apps and games. All that stuff. Plus it’s got all the hardware from an Amazon Echo built in, so you can control all sorts of things, hands-free. … To varying degrees of success. What else did you miss? Quite a bit. DirecTV Now is raising its monthly subscription fee. And it announced the change late on a Saturday night. And it comes after parent company AT&T said merging with Time-Warner would save customers money. Go figure, hunh? PlayStation Vue is raising its monthly fees, too. And none of us should be surprised by any of this. We’ve been streaming the World Cup in 4K resolution on FuboTV. It’s brilliant, but still limited to just a couple devices. Win one of 103 TV and antenna bundles! July 7 is National Cut the Cord Day, and TCL and Mohu are giving away 103 55-inch TCL Series 4 TVs, along with 103 Mohu Blade antennas. Enter here by July 9! It’s easy to think of mobile and its associated gadgetry as a two-way race between Apple and Google. When it comes to all things flashy that tech writers and Twitter pundits like to make words about, iOS and Android (their respective ecosystems actually) rule the roost. But that’s not quite accurate — companies like AT&Timewarner or NBComcast Universal or Verizonhoo! (sorry) are huge corporations with very deep pockets that have all played significant roles in shaping our tech landscape. Amazon chugs along and does its own thing, which means more than just web retail. Amazon has its own services and builds its own hardware and makes so much cash from its web retail business that it can do both without caring about profit every quarter (which resembles Google’s loss-leading role in Android). The products sold are best used as a conduit to the profitable side of the company, which might be online shopping and semi-instant gratification, or AWS and storage. Both rake in more money than any of us can imagine. One big difference between Amazon and Google, though, is how each company approaches a giant cash cow an important market segment — kids. Kids have no money, but if you have one or two, you know they don’t need any. Kids are adorable and adults buy them things they want. As a father of three, I have seen this sorcery in action and had these spells cast on me. We want to buy toys and games and other “fun” things for our kids, and when those things can teach the little rascals something we want to buy them even more. Part of the reason is that these products are really good. They’re not just dumbed-down versions of the adult-branded models with have kid-friendly features. As an adult, part of me knows that buying a child their own tablet will help teach them something. Whether that’s reading, math or something more artistic like drawing or music, a kid will end up learning something no matter how hard he or she resists. To put me at ease a bit, Amazon includes ways to manage what kids can do on the device, monitor what they are doing, and shut it all down in case they try to slip one past you, the parent. 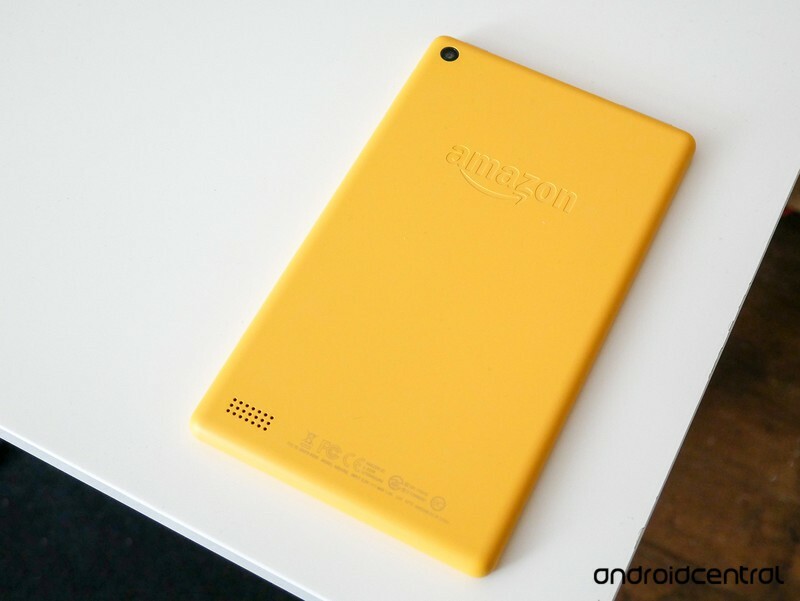 Which brings up the real question once again — why do services like Amazon FreeTime and hardware like a Fire HD Kids Edition best anything Google has to offer? I understand the part where Google is an advertisement company geared towards adult consumers, and Amazon’s retail presence gives it more kid-appeal, but that’s not enough of a justification. I have to think Amazon is just better at it. There’s no shame in that; someone has to be the best at anything. Google offers kid-friendly features and parental software of its own, and while it’s not bad it just isn’t as good as what Amazon offers. 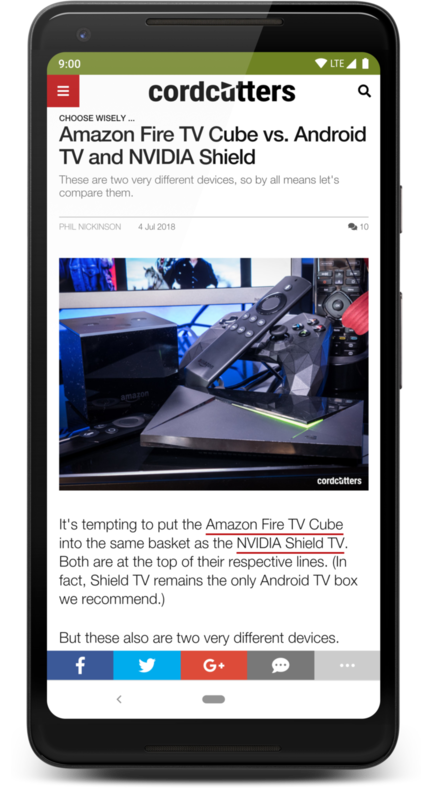 Google needs to change that, especially now that Chrome tablets are a thing. Ask any primary school teacher and they will probably tell you it’s best to start a very young child with a tablet as a teaching aid instead of a laptop. They are easier to hold, they are more interactive, and they garner more attention because kids love to touch things to experience the world. I might want a Chrome tablet to read in bed or lay back on the couch without a laptop. Young kids in the first few years of their education need a tablet to get a better learning experience. A Chrome tablet that can be administered to be educational during school and study hours and edutaining during the early evening or weekends must become a viable competitor to Amazon. I don’t think Amazon has plans to tap into the education sector and do it, but I know several kids who would love to have such a thing. Google has plenty of the hard stuff figured out. 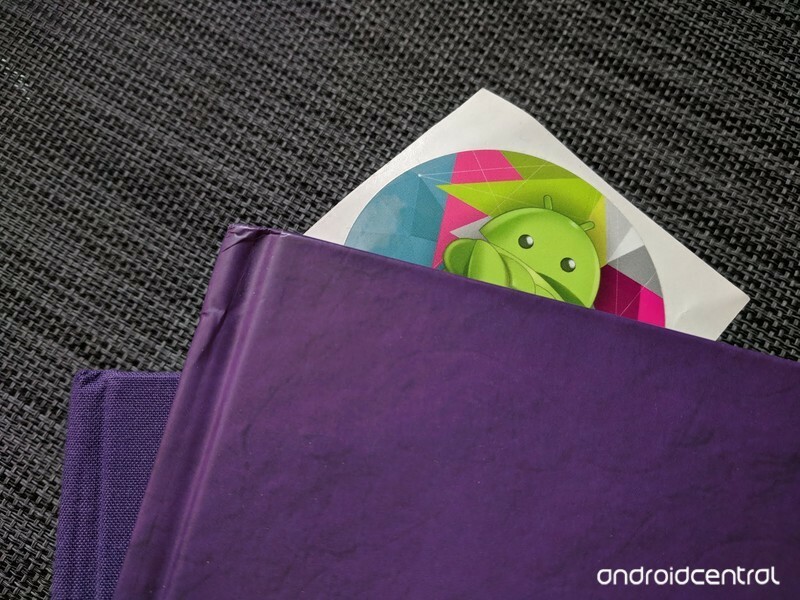 It has a pretty good set of admin tools for things like Chromebooks or Google Apps accounts. When you make a product with access to the internet but design it for a child, these sorts of tools are mandatory. It’s not a stretch to think that some of these ideas and how they work could make for an excellent FreeTime-style competitor where kids could have all the music or books or approved apps they want, but only when the parents say they should have them. Amazon had to do it from the ground up and the company’s first version is pretty darn spectacular. I’m not saying Google needs to release a blue or pink Nexus 7 tablet refresh, put half-baked parental controls on it and call it a day. I’m saying the company needs to think about how it can integrate kid-friendly services and parental controls into the Android and Chrome ecosystem. Budget phones have come a long way over the past few years. It’s not hard to find an inexpensive phone that’s both gorgeous and admirably kitted out for $300 or less. Two of our favorites for 2018 are the Nokia 6.1 and Moto G6, and they’re both similarly priced. The weakest part of these two phones — and most budget devices — is often the camera, so we put them both to the test in a week-long camera shootout across New York City to find out which one comes out on top. 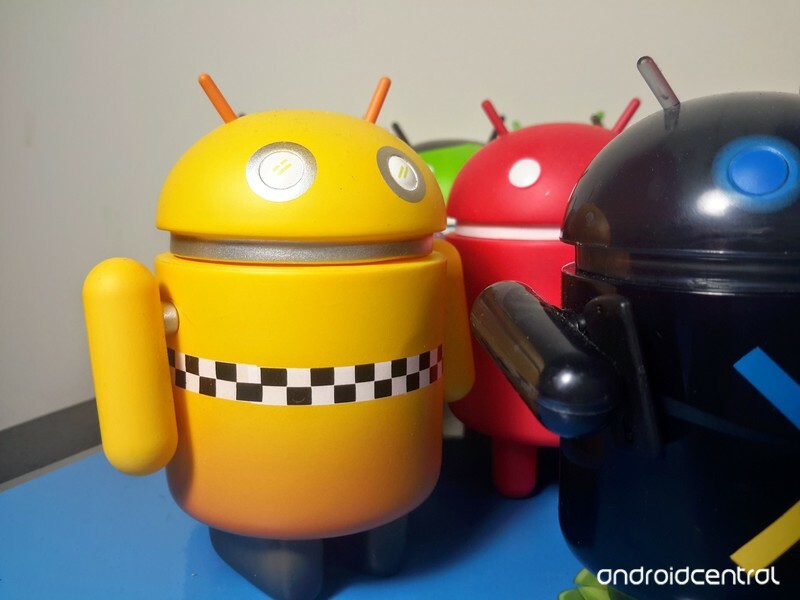 If you want to see more camera comparisons, check out our smartphone camera shootout series. Comment below to let us know what camera shootouts you want to see next. The Moto G6 is Motorola’s first G-series phone to feature a dual camera setup. The primary lens has 12 megapixels with a f/1.8 aperture, while the secondary sensor is 5 megapixels with a f/2.2 aperture. There’s a dual-LED dual-tone flash as well. In theory, the wider aperture means the G6 should perform better than its predecessor in low-light environments. HMD Global, the company licensing the Nokia brand, decided to stick with a single lens setup on the Nokia 6.1. There’s a 16-megapixel Zeiss lens with a f/2.0 aperture. It also uses dual-LED dual-tone flash like the Moto G6. The Moto G6 camera software is fairly simple, but it’s packed with a few extra features. There’s a feature called Active Photos that allows you capture short GIF-like images when you take a photo. Spot Color lets you to convert photos to black and white while retaining one specific color, and there’s also a manual mode, portrait mode, time-lapse, slow motion, and face filter options in the camera app. As for the 8-megapixel front facing camera, there’s a beauty filter that can adjust skin tone and remove minor imperfections. Since the Nokia 6.1 is a part of the Android One program, the camera app is similar to stock Android with a few extra perks. There’s a beauty filter that works on both the front and rear-facing cameras, a Pro mode that allows you to mimic settings you’ll find on a DSLR, as well as a portrait mode only for the selfie cam. But the most interesting camera feature on the Nokia 6.1 is Dual-Sight mode, also known as Bothie mode, as it allows you to simultaneously capture images with the front and rear cameras. This can even be used for live-streaming video on YouTube and Facebook. All of our photos are taken in auto mode, as that’s the method most people will use. We started our camera comparison at The Cloisters museum in upper Manhattan. First up is a courtyard shot with natural overhead lighting. At first glance, both cameras appear to perform admirably, but if you look closer you’ll notice a few differences. The foliage detail is lost on the Nokia 6.1, and the image seems flat when compared to the Moto G6. The Moto captures the area behind the arches a little better, and the photo is overall a little brighter and sharper too. The Nokia 6.1 shines in this photo of the Topiary garden, also at The Cloisters. Foliage detail is sharper and more defined than the Moto G6 photo, which is fuzzy and pixelated when you zoom in. The overall color is also more accurate and vibrant in the Nokia photo, while the G6 just looks flat and washed out in comparison. We took the Moto G6 and Nokia 6.1 along for our morning coffee run in Brooklyn to see if the two could manage Instagram-worthy food shots, starting with coffee and croissants. The Nokia 6.1 struggles with color accuracy. White balance is off in the photo, the background colors appear muted, and details are a little fuzzy. The Moto G6, on the other hand, seems to handle white balance a little better, and the colors pop out a little more. It’s not too over-saturated, but what we like is the solid, natural blur behind the subject (there’s virtually none in the Nokia 6.1). It’s the more shareable photo. The trend continues in our second indoor shot. The Moto G6 does a great job with color — look at the crema in the espresso cup — the photo from the Nokia 6.1 is muted and dull. The Nokia 6.1 tends to go for blue and cool hues, whereas the Moto opts for warmer tones. If you take a look at the bench and brick wall in the background, both photos have similar blur, but you’ll notice more detail in the G6 photo. To get a better idea of how the Moto G6 and Nokia 6.1 perform in daylight, we took a midday walk through Williamsburg, Brooklyn. The Nokia 6.1 edges ahead slightly. Take a close look at the bricks and fire hydrant in both photos, and you’ll notice a loss of detail on the Moto G6 photo. On the Nokia, it’s easy to make out the brick detail everywhere, as well as the sticker on the fire hydrant. While color representation here may be a little subjective, the Nokia 6.1 photo looks more realistic. The colors on the Moto G6 photo pop a little more, but they’re a little washed out. While it’s been pretty easy to determine the better shot in each scenario so far, things get a little tricky with this photo outside the neighborhood pub. The Nokia 6.1 handles colors a little more accurately here, while the Moto G6 photo is too warm. Zoom in on the flowers in the Nokia photo and you’ll notice a lot more detail. But the Moto G6 takes the cake with dynamic range — look inside the bar and you can see more of what’s happening inside, but this is hardly visible in the Nokia 6.1 photo. We’re split in opinion over this photo. We like the Nokia 6.1’s result for its strong detail and color accuracy, but the fact that you can see a little inside makes the Moto G6 photo a little more inviting. Budget phone cameras are certainly capable, but they suffer the most in low-light environments. Our first shot in this comparison is of a a restaurant in Union Square, and it’s easy to see the benefit of a wider aperture on the Moto G6. The photo is much more sharp than the Nokia 6.1’s photo, and it’s brighter so you can pick up more details like windows on the adjacent building. We do like the neon sign on the Nokia 6.1 a little more, but the rest of the photo is so poor that it doesn’t really matter. Our next shot is of a window display from New York’s famous Fishs Eddy at night. The Moto G6 photo is well lit, but it’s the white balance that’s far more impressive. The dish towels look pure white and clean, the rest of the colors are balanced, and the details are easy to make out. The Nokia 6.1’s photo isn’t too shabby, but the whole image has a yellow tinge, and details are fuzzy. The Nokia photo does seem to do a better job at not over-exposing the light bulbs, though. Our final shot is of the statue of William E. Seward, former governor of New York, at the entrance of Madison Square Park. In this low-light shot, both cameras performed similarly, though the Moto G6 does a slightly better job overall. If you look closely at the G6 photo you can pick out more detail on the lower half of the statue compared to the Nokia 6.1, which mostly looks blurry. The trees flanking the statue are far more detailed on the Moto G6’s photo, and so is the building in the background. The pedestal is a little too over-exposed, though. The wider aperture and second lens help the Moto G6 win this comparison. The camera consistently pulled ahead in low-light scenarios, and it was in general a little more reliable and versatile. The Nokia 6.1 didn’t perform poorly, though, and it does have the ‘Bothie‘ feature that you won’t find on the Moto G6. A video now appears on Instagram showcasing an animation of Donald Glover performing his dance pulled from the recent This is America music video (aka Childish Gambino). What makes this animation unique is that creator Pinot Ichwandardi used Apple’s old Macintosh SE all-in-one PC along with the discontinued (and decrepit) MacPaint and MacroMind Director tools. The animation itself consists of 375 frames putting Glover in blocky retro motion. To get the full scope of this animation, Apple sold the Macintosh SE between 1987 and 1990 packing two floppy drives for $2,900 or with a 20MB hard drive for $3,900. It sported a built-in 9-inch monochrome display with a 512 x 342 resolution powered by a 7.8MHz Motorola CPU and up to 4MB of system memory. It served as the successor to Apple’s Macintosh Plus. This model was the first compact Macintosh to include an internal storage device, an expansion slot, and support the Apple Desktop Bus. Overall, the device weighed 17 pounds and shipped with System 4.0 and Finder 5.4 that were released specifically for this all-in-one PC. Eventually, Apple renamed the operating system to Macintosh System Software. MacPaint made its first appearance on the original Macintosh in 1984. It’s a raster graphics editor similar to Paint on Windows designed by two members of Apple’s original Macintosh developer team: One coded the software and one designed the interface. The menu was originally labeled as “Aids” prior to its official release but was renamed to “Goodies” due to the outbreak of AIDS during the summer of 1983. The latest version of MacPaint appeared in 1988. Meanwhile, MacroMind was an Apple Macintosh software developer that eventually changed its name to the more familiar Macromedia who was purchased by rival company Adobe at the end of 2005. The company introduced multimedia animation software called VideoWorks in 1985 that saw its successor, VideoWorks II, launched in 1987. This second version was renamed to Director, which you see in the video, that’s now listed as Adobe Director. That said, there is a lot of hardware and software history behind the Glover animation. The video shows Ichwandardi editing the monochrome bitmaps of each frame rendered in a timeline like-fashion within MacPaint on the Macintosh SE. After that, you see what appears to be every bitmap in a folder that will be imported into MacroMind Director and put into motion. The animation picks up as Glover fires a gun at a seated man’s head. According to Pinot, the animation is a work in progress. So far, the Instagram video racks up 1,565,400 views on Instagram although how long its shelf life will last depends on Glover and his record label RCA Records given the included copyrighted content. Still, the project is interesting in that someone is using a working 31-year-old computer from 1987 to create animation stemming from a 2018 music video.